So, why a name so unique? 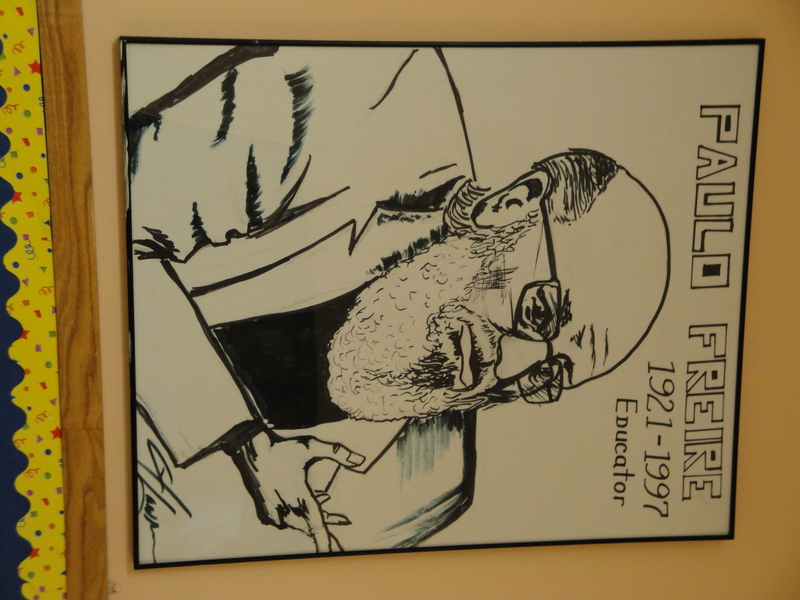 While our name might be often mispronounced (we say Free-air-ee), we selected it because the educator, Paulo Freire, is a philosopher whose ideas inspired us to be a different kind of school. 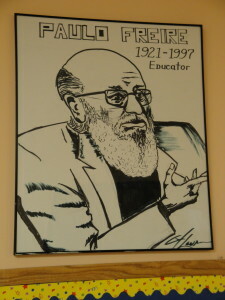 Paulo Freire believed in the value of a classical education (liberal arts and sciences) yet argued that most schools failed to provide such learning in an effective manner. In his mind, most schools instead promoted the values of the dominant class, creating a “culture of silence” where underserved individuals were deprived the means to think critically about their place in the world. Paulo Freire was a Brazilian educator and theorist who wrote several influential books, most notably Pedagogy of the Oppressed. Though he is most known for his progressive theories in this book, Freire spent much of his early life working on literacy with peasant farmers in Brazil. His dedication to provide the underserved with the necessary tools to reach liberation is his legacy. Along with his contemporaries, like John Dewey, Freire pushed teachers and administrators to reconsider their role in learning. Are students vessels, needing only to be passively filled with facts and numbers to achieve competency? Or, are they active participants in a process built on equality, diversity, and critical thought? It was, and is, novel to consider students as learners and teachers. At Freire Charter School, we believe students have much to learn and experience but, also, much to teach – to each other and our educators. This growth begins in the classroom and continues through the hallways and into our community. The students of Freire Wilmington carry the responsibility of their scholarship along with administrators, teachers, support staff, and parents. We believe this holistic approach, which values autonomy, equity, and community, honors the legacy of Paulo Freire.